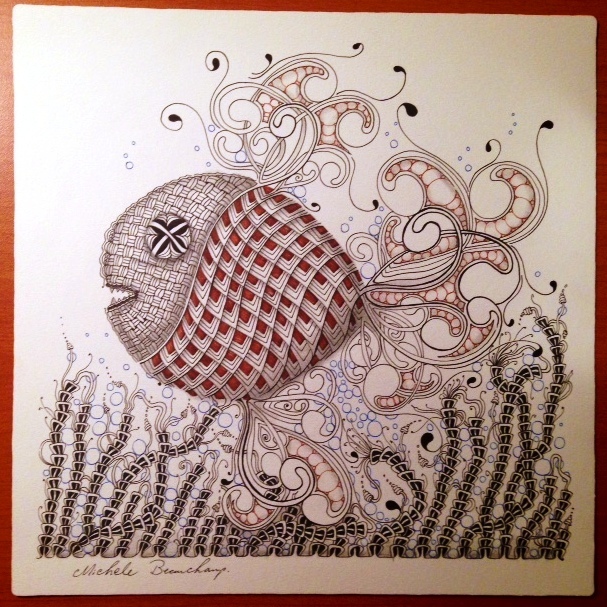 This little flukie fish is quite happy dodging about in the rixty seaweed! OMGosh, he is adorable your "Flukie Fish". Love the idea of Rixty for the seaweed, you are too inventive! So cute! Tell him to be careful of the fisher men.